Who was more thrilled than I to find that Deb thanked me in The Smitten Kitchen Cookbook for lugging a big sack of French cocoa powder to New York City for her? But just after I read that in the acknowledgements, my head started reeling, thinking that others would start asking me to bring them cocoa powder as well. Like her blog, the book is full of hilarious stories. For example, she tells how she stayed in a Paris apartment and was transfixed by the potatoes sold by the rôtisserie chicken vendors. In addition to having a real living room, which my apartment didn’t even have at the time (which she graciously didn’t mention in the book) she, indeed, did have a very small kitchen. Heck, I could barely toast a bagel in it. Yet she pulls out spectacular layered cakes and so forth, which are in the book, along with tales of her life as an obsessive home cook. (Yes, the potato recipe is in there, page 173.) And I’m sure next time I visit, she’s going to be just as obsessive checking the dates on my plane ticket as I am now, about triple-wrapping molasses when I travel. Adapted from The Smitten Kitchen Cookbook (Knopf) by Deb PerelmanThere is something about this cake that’s wildly addictive, speaking from personal experience. (My French friends went nuts over it, too.) To the naked eye, it may just look like a simple butter cake and the two layers may look a bit discernible. 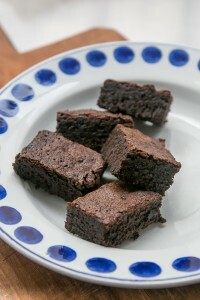 But melded together, with the crunchy topping, you won’t be able to stop eating the squares of cake.You can tell Deb is a blogger because she covers her bases and lists a multitude of substitutions and possibilities for ingredients that folks might inquire about. Instead of corn syrup, you can use golden syrup or honey. (Although honey is pretty strong, so I would use one of the other syrups I listed. Or choose a mild-flavored honey.) She covered the bases on the milk/half-and-half/cream issue, too. And you can use any of them in the gooey layerI’m not as obsessive as Deb, and although she didn’t say I could do it (gotcha Deb!) I did grind my own cinnamon. Since it was going right on top, I wanted that zingy freshness of just-grated spices front and center stage. But I’m sure she’d be fine with that. 1. 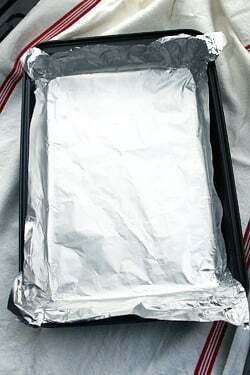 Line a 9- by 13-inch cake pan with foil, leaving an overhang on all four sides. (I overturn the pan, shape the foil over the bottom, remove it, then flip the pan over and ease the foil into the pan.) Spray the foil in the pan with nonstick spray or brush with melted butter. 2. 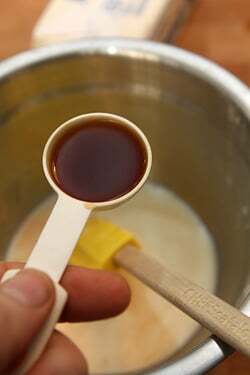 To make the cookie base, whisk together the 1 1/2 cups (190g) flour, baking powder, and 1/4 teaspoon salt in a small bowl. 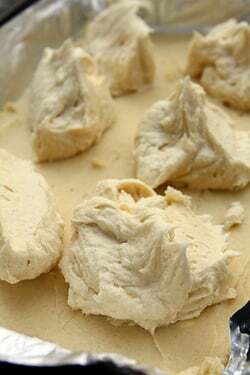 Beat the 8 tablespoons (115g) of butter and the 3/4 cup (150g) of sugar in the bowl of stand mixer with the paddle attachment, or by hand, until light and fluffy, 3 to 5 minutes. 3. Add the egg and the milk and mix in, stopping the mixer to scrape down the sides of the bowl. Stir in the dry ingredients, until fully incorporated. Put the mixture in the cake pan in dollops (it’s too thick to spread if you add it all in the same place), and spread it into an even layer with an offset spatula. 4. To make the soft gooey layer, in a small bowl, whisk together the corn syrup or golden syrup with the milk or cream, and vanilla. 5. Beat the 12 tablespoons (170g) of butter with the 1 cup plus 2 tablespoons (225g) of sugar, and salt until light and fluffy. Beat in the egg, scraping down the sides of the bowl. 5. Add one-third of the 1 1/4 cup (155g) flour, then half of the milk/corn syrup mixture. Add another one-third of the flour, then the rest of the milk/corn syrup mixture. Then stir in the remaining flour. Dollop the batter over the unbaked cookie layer and spread evenly. 6. Mix together the 2 tablespoons of sugar and cinnamon, then sprinkle it evenly over the cake. 7. Bake the cake for 25 minutes, or until the cake feels slightly damp, but gently set in the center. Remove from oven and let cool on a wire rack. 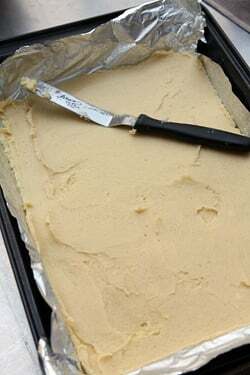 When cool, lift out the cake using the overhang of the foil, and cut the cake into 1-inch (3cm) squares. Note: Sharp-eyed folks might notice that my cake squares didn’t get as dark has hers, as shown in the book, which I attribute to a new oven which I’m still learning how to use. The cinnamon I ground was also not as fine as the finely ground cinnamon that you buy, so the pieces are more distinct, which also led to the tops of mine looking a bit different from hers. Regardless of any differences in appearance, it’s quite an amazing cake and I urge you to try it. You were lucky that your cinnamon didn’t explode! I had an awful incident transporting a kilogram of fermented black bean paste in a plasic container in my suitcase – the container cracked and the sticky and STINKY black paste oozed out over my clothes. Then trying to explain what it was to the dubious customs officer who got the paste all over his fingers after picking the container up to examine the label… talk about a mess! Hello! I’m now curious what’s the difference between French cocoa and normal cocoa? Also, David, october 10 2010 is 10/10/10 both here and in america haha gotta try this cake soon. Color me a fan of your blog! Honestly, I looked at that for about 45 minutes and still can’t get it straight! I remember my sense of panic when I checked some pre bought online museum tickets for a show in Paris right before leaving on my trip. The date thing is a problem. I do however stick with the European convention of descending order of detail, day, month, year…the other confuses me! How about a large bottle of Puerto Rican rum all over your case and clothes? We smelled like top-class winos all the way back from the airport. Not to mention the waste and regret for not packing it more carefully. I have to try the cake. 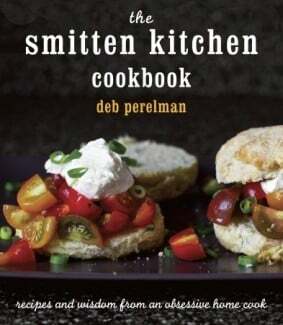 I love Smitten Kitchen and I would have to say that Deb is no slouch if Dave Lebovitz is a house guest–I don’t inhabit those social circles! What is the bottle with Korean writing on it? I cannot figure it out. Is it Korean corn syrup? Luckily a nice pair of pants survived a broken bottle of wine in my suitcase, absorbing most of the liquid though I lost a nice bottle of wine. Butter and more butter. My favorite flavor. This one is sure to be added to the repertoire, though I’ve been obsessed with ginger lately, and will perhaps substitute ginger sugar for the topping. Now to find light corn syrup. My disaster like that was a bottle of cassis, which I had wrapped in my nightdress to bring home to my parents for Christmas. Oops….. This kind of reminds me of Tres Leches cake except in that cake you add the second mixture after you bake the cake. A small question: Is that cassia bark in your pictures rather than (the milder and thinner) cinnamon? All the “cinnamon” I can get here in Istanbul is cassia (Chinese cinnamon) rather than true cinnamon (Ceylon cinnamon). They’re close cousins and I actually think cassia is often better (for example in savoury recipes like moussaka), but I miss the sophistication of the Real Deal. Just curious which prevails in Paris. For carrying spillable/breakable food containers: layers, layers, and more layers of plastic bags, nestled in a well-padded inner part of the suitcase. So far it’s worked, though I arrived home recently to find a newly-headless figurine in my bag. Good reminder to be scrupulous about padding. I do wonder about carrying champagne in checked luggage — would the decreased air pressure make for an explosion mid-flight? Anyone have any experience? As someone who travels back and forth with little bottles of essences and containers of cocoa, cake flour, and malt powder: bubble wrap, tape, AND ziplock bags for the bottles, double ziplocks for flour/cocoa, etc. All nicely labelled on the outside. Actually, I also double-bag delicate clothing since the time my bag got lost while changing planes in London during a rainstorm. It must have sat outside for quite some time, since when it was delivered three days later, my clothes were still damp. I’ve got the cocoa powder but ran out of the Bordier butter I froze and brought home with me so that is what I would ask you to bring me! That’s an awfully small piece of cake……. FISHSAUCE. That pungent Asian fishsauce even from a small bottle leaking out of your suitcase would take the top spot of anyone’s worst luggage spill disaster. My Thai mother-in-law transported it without my knowing when we moved house for her and it spilled in the back of my SUV. 6 months later after endless cleaning, I couldn’t get the stink out and had to sell the truck. Never carry fishsauce no matter how small the quantity and no matter how much you’ll miss the taste it adds to food. Speaking as a Yankee, the USA is nuts not to adapt the European way of doing dates. The 24 hour clock is used all over now (mostly!) so why not the date thing? This cake is now on my to do list. 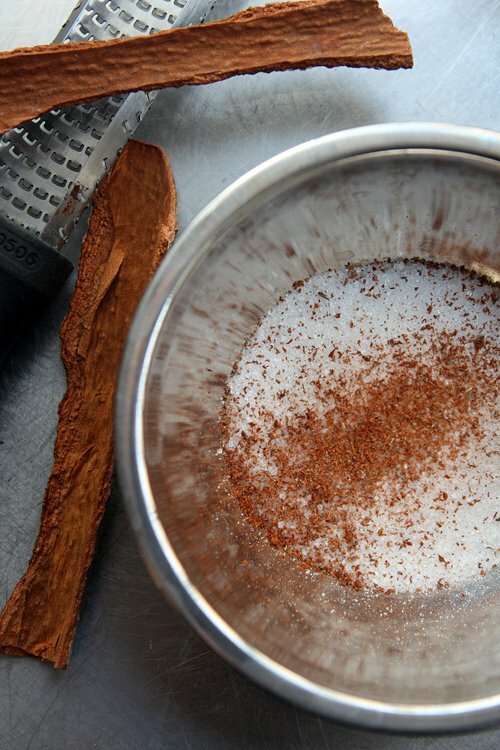 I am obsessed with cinnamon and am going to try to grind my own. I heard the Vietnamese type is a lot different. Every time I have gone into a Vietnamese store in London and ask for cinnamon I am presented with the bark. Is bark the same as sticks? Have been making a lot of different apple and cinnamon cakes, perfect for the autumnal wet weather we have been having. Mimi: That’s Korean corn syrup, which is used in Korean cooking. Cathy and H: I don’t know exactly what kind of cinnamon/cassia it is; it was gift from Diane from WhiteOnRicecouple.com blog. Zoey: I had some friends that bought tickets to a “hot” Broadway show and made a special trip from California to go see it, which included flying there and getting a hotel. When they showed up at the theatre, they found out that the tickets they’d purchased were for the same date — the following year! brenda: European cocoa powder is generally a lot darker and richer than American cocoa powder (broadly speaking – it varies by brand.) For more on cocoa powder, check out my Cocoa Powder FAQs. I LOVE Deb’s blog and her book, which I was able to cook a bit out of when it was still in the advance copy stage. Can’t wait to pick up the real thing when I am home at Christmas. I know you must have it somewhere on your blog, but what number flour do you use for cakes? I still struggle with French butter/flour when I make American recipes. Why do you need the foil? I will be trying this recipe immediately! Yum! And I was holding my breath packing a bottle of very nice champagne in my checked luggage on my most recent flight back from Paris. It survived unscathed, thank goodness! But I couldn’t help but keep imagining a champagne-soaked suitcase. Linda: To get the cake out of the pan. Deb uses parchment paper but I think the foil helps lift the whole thing out better. Wow, a can of molasses in the suitcase sounds really messy!! It happened to me once with a fabric softener in the boot of my car, and I thought it was a catastrophe, so I can’t imagine the suitcase and the molasses!! Nice to read the story about Deb, because I’m waiting for the book to arrive home, so I will make more enjoyable the wait! Perhaps even I can make this cake before. And, of course, I’ll take a took on 173. I lost a company $600,000 in currency conversion charges when in the Middle East I typed my American boss’s 5/6 to be the 5th June not the 6th May as he intended. No-one noted and it only came to light nearer the date causing havoc. I certainly learnt the hard way !!! This one should be called Inflammation Nation cake. This looks amazing. Where can I find corn syrup or golden syrup in France? You can find Karo corn syrup in Paris at places like La Grande Épicerie, Thanksgiving, or The Real McCoy (or online at MyAmericanMarket.com – if you live elsewhere in France) – I get Korean corn syrup at Ace Mart or K-Mart (Korea mart) on Rue St.Anne, the Korean épicerie. Pastry supply stores and some Arabic markets sell glucose syrup, which is thicker but behaves the same way. 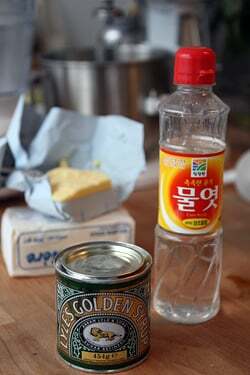 To find Golden Syrup, check out my post: How to Foods and Other Items Mentioned on the Site. I usually buy it when I go to the UK, although British épiceries should have it. I remember reading about Deb’s trip to Paris and it brings a smile to my face to know it was you she swapped apartments with! 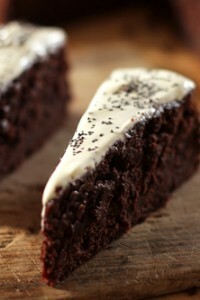 : ) I’m not a big fan of cinnamon but I do like it in moderation…plus, your pics really shows one seriously moist cake! Since you are able to bring stuff over with you, I was thinking about the soap stand at the Bastille Market. The guy has baskets (!) full of different soaps. If you could bring the guy and his stand and all his baskets, that would be swell. I’m so pleased that two of my favorite food bloggers seem to be fans of each other as well! I was at the book signing for Deb when she was here in Portland. The room was standing room only and they had to turn people away. I was so glad to get a cookbook at the end, when I was trying desperately to pick up any books that had been left behind, when the organizer handed me the one that had been at the podium with Deb. Wow, I feel special now! I hadn’t registered that I wanted to try this cake before now though. Now I will obsess over it until I try it. As long as you’re bringing the soap stand guy and his stuff from The Bastille market for olddave, would you mind also bringing the meat and pate guy and his stuff too, and then that stall that sells baguettes with cheese on top, and… oh just bring the whole market. We’ll send back what we don’t need. David: how good of a “keeper” is this cake? Best consumed immediately? And if not, kept covered, uncovered, and for how long? I can’t believe I can find a Korean corn syrup in your pantry! Because….I’m Korean! I didn’t think you could use a Korean ingredient in baking :) I am a big fan of yours and I have used some of your recipies. The results were always good! Thank you for delicious recipes! I have a question. In making Soft Gooey Layer, when and where I put salt? I read the recipe but you didn’t mention about salt. I made something similar, a snicker doodle blondie, some time ago. Why do you even travel with molasses?! That’s really funny. you used the plural for egg…eggs……Is the recipe for 1 or more eggs? Your cookbooks are on my Xmas list hopefully I can find them on Vanc. Island. Sharon and Kathy: These were eaten pretty quickly. I don’t freeze cakes like this because I think they lose what makes them so special. I would keep them for a few days at room temperature, loosely covered with plastic wrap or in a container. Jin: It’s in there, under both cake layers. (You may need to refresh your browser?) I LOVE Korean ingredients and always keep Korean red pepper on hand as well as the red pepper paste – just made kimchi the other day, and added a bit of leftover plum juice to it, and have been enjoying it! In Philadelphia , we make a gooey butter cake, I really have a hard time even calling it a cake, just melt a 1/2 pound of butter and 1/2 pound of sugar make a paste grab a spoon and dig in. That very thing happened to my husband. He put a box of cocoa in his suitcase, and when he came home the powder was everywhere. But it smelled good! Thank you for your books and blog, by the way. I have enjoyed them so much and found the work you do to be so helpful. You do a lot. Gooey butter cakes seem to be a southern/midwestern item. There is also a chocolate version. Addictive, completely addictive. Great apartment swap story and I must make this cake. You had me at gooey and cinnamon! Love your anecdote about swapping apartments with Deb – too funny! What a fabulous recipe! I NEED Deb’s cookbook, and this looks like a great recipe to make first! 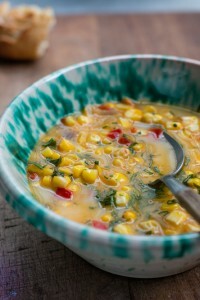 You and Deb are 2 of my faves when it comes to wonderful stories and equally great recipes. I will definitely make this one, but making it parve (fortunately in today’s world there are natural, healthy substitutions). I even have Lyle’s Golden Syrup (leftover from a failed Treacle Tart attempt). Thanks David! If you’re ever in Milano or Torino, you’ve got to try the cocoa from Guido Gobino – it’s the best one that I or my chocoholic husband have come across. Unbelievably , I just found The Smitten Kitchen a couple of weeks ago when a craving for homemade chocolate pudding was screaming my name. I have now used Deb’s recipe twice. Thanks for the info about her book! i am literally making this cake this weekend. yay deb! yay you for sharing! I have been getting Gooey Butter Cakes for my birthday since I was very young – most years they are sent to me by mail as I’m no longer in the midwest! This version is quite a bit more refined than my family makes!!! I will have to try it. The one that has been passed down from my St. Louis Aunts has cream cheese/sugar topping (like this version: http://allrecipes.com/recipe/gooey-butter-cake-iii/). I love anything cinnamon and this has just been added to that list. My worst was a jar of local honey from the South of France, which exploded in my luggage all over a suede skirt. Ouch. Many thanks for this recipe, I’m always looking for cinnamon recipes. I’ll be in Sri Lanka in a couple of weeks and will try this with the local cinnamon. Seriously, you already had me at Gooey. I’m looking forward to trying this when I get back to my own kitchen. I’ve made the original St. Louis cake before and really enjoyed it, but have a feeling I’ll love Deb’s version even more. 3 words for you all… just make it! I made this heavenly recipe this afternoon and it disappeared in seconds – literally! Thanks for sharing. That cake is begging for a cup of strong coffee, and I will gladly accommodate it. 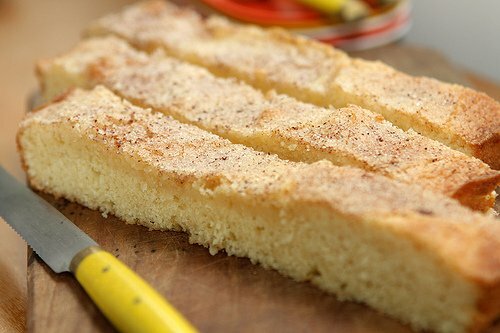 I also had never heard of St. Louis Gooey Butter Cake until I read about it in the NY Times, and I remember immediately emailing a friend from St. Louis about it. “Have you ever heard of this cake?” I asked. “Where ya been?” was her response. When she was a kid, she used to wait on line for this cake in the bakery every Sunday morning (along with everyone else). Now that so many small bakeries have closed (not just in St. Louis, of course) the cake seems to carry a strong nostalgic element. Well, thanks to this post, I can very happily do my part to bring it back to everyone’s consciousness. David, your “gooey” layer appears to have chucks of unmixed butter in it. Is this an optical illusion or do you have lumps of butter in that layer like in biscuits? CHN: Yes, the cake is interesting. Apparently the original has a yeasted base, but Deb said she liked this butter cake better. Olivia: Glad you liked it! It looks simple, deceptively. But it’s so good – there’s something about it that makes you not able to stop eating it. Marianne: Yowza! I’ll bet this kind of cake would make an amazing cupcake. Nice to hear St Louis bakers are on that -! This is pure butter & sugar heaven. I noticed that you only indicated number of pieces this makes but not how many servings … I think it’s 2. Put some in the freezer and bring it out on Christmas Eve. I am sure Santa Clause would like a piece. i flew into Seattle from Puerto Vallarta and when i opened my suitcase to change out of my shorts i found a bottle of tequila had broken and marinated my clothes. with all this talk about white sugar being as bad for you as heroin, what do you use? This cake looks fabulous and very easy to bake. Hey David! i always have a problem with adding salt in the recipes because they never incorporate properly and i end up with pieces of whatever im making like chocolate chip cookies being really salty and other parts of the cookie tasting bland… do you have any solution to this problem?could i use salted butter instead? debby: I’ve eaten a lot of sugar in my life, and it if was, indeed, comparable to heroin, I don’t think I’ve still be standing. Vanessa: You can use salted butter, and skip the salt. 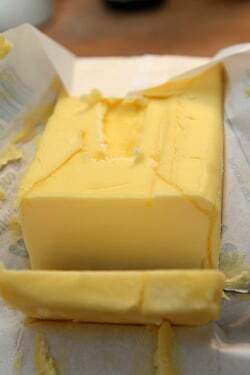 In most recipes you can use salted butter in place of unsalted. Depending on brand, one stick (4 ounces, 115g) has about 1/4 teaspoon of salt, so if you’re so inclined, you can adjust it that way. I’m curious to hear your opinion, David, on what seems to be a growing trend in Paris to eat American-style cake—is this a new phenomenon? You say your French friends went nuts over it. Since I find French patisserie so impressively complicated, I imagine if I were French I’d think American cakes were boring, but that doesn’t seem to be the case! Despite living in St. Louis for a year, I’ve never had a gooey butter cake. I can;t help but feel a little deprived. Thanks for the recipe – now I can see what all the fuss is about! Making this now, literally assembling the ingredients. Gooey layer lists one egg, but directions say ‘beat in eggs’…just want to clarify. Im going ahead with recipe now with one egg, also using gluten free flour mix. I’ll report back soon with gooey goodness in hand…. yum! 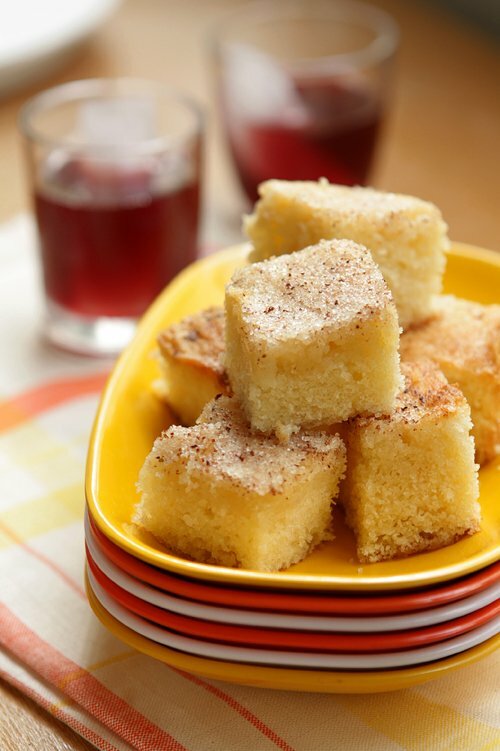 great butter cake with delicious cinnamon sugar topping. Must eat warm with tea at 4pm!! David — I’m very interested in trying out this recipe. I’m not a huge fan of straight cinnamon as a flavoring. Have any suggestions for additional/alternative spices? I was wondering if a mix of cinnamon and cardamom, for example, might work well here. This looks delicious! David, do you know why Deb decided to switch away from yeast and use chemical leavening in the cake layer? WAIT A MINUTE! I am halfway through this recipe (specifically because the ingredient list only called for ONE EGG!!!!) and now I am on step two and don’t have another egg, but the instructions are telling me to add another egg! WHAT?????? Cate: There are 2 parts to this cake – the cookie base, and the gooey cake layer. Each one has 1 egg in it. Because both layers have similar ingredients (flour, sugar, eggs, etc.) it’s standard practice in recipe-writing to break out the ingredients, and the technique(s) into separate categories. Beth: She said that some folks had concerns with the yeast layer in the original recipe so she opted to create a cookie-base layer instead. BarbF: Sure, you could use whatever spices you like. I love cardamom! Oooops I am so sorry, I now see the egg. Egg is just above flour ingredients. There is deffo an egg in each section; I just re-read the ingredients. I feel like a d***a** sorry. It was a can, by god, and I let down my guard. But sardine cans have that little easy open seam, and just a little bump in the wrong place resulted in fishy olive oil on everything! I donated the backpack; sorry about that too. Time for gooey cinnamon cake to obliterate the memories! Love your blog! Paris is one of my favorite places to visit and you transport me there. Thanks for posting this recipe and you are almost as detailed about substitues as Deb which is a good thing as some of your readers are not on continental USA or Europe but in the Caribbean. We write the dates as the British does date, month, year although some government offices have adopted metric way of writing the dates year month date. Trying the cake as we speak. What is the best way to store the cake? And on another note, I am running out of cocoa, what are you recommending these days for what is easy to get in the bay area? Is Valrhona still recommended? Hi Leslie: Since I haven’t live in the Bay Area in about a decade, I don’t know where to shop or what is available. I do like Valrhona cocoa powder very much, however it’s harder to get in the US than it is in France, and more expensive. However it is one of the few ingredients that does really make a difference. However there are lots of good cocoa powders, some from bean-to-bar makers in the United States and other brands, that are perfectly fine to use. Another good source for chocolate and cocoa powders is Chocosphere. thanks and I will check out chocosphere. Now, totally off the subject of food, my hubby and I were discussing mail delivery because soon we won’t have Sat delivery anymore and he was insisting that France delivers mail twice a day 5 days a week. any truth to that? He pines for the mail lady to come. This recipe sounds delicious :) The recipe doesn’t specify what type of flour/sugar to use – can you tell me if its self raising or plain flour that I should use? And is it caster sugar? I made a double batch of this at the weekend and it went down a storm, but I didn’t find a discernible difference in the two layers once baked. Is it worth refrigerating the bottom layer? Or part baking? Or could I have done something wrong? I’m tempted just to scale up the top layer and use that. Perhaps with a bit of orange zest. Well, a tray of this has just gone into my oven, and if the scrapings from the mixing bowl (never mind the exquisite smell) are anything to go by, this is going to be my new favourite winter cake. I’ve just started following your blog and I love it! Your ice cream recipes are amazing and they turn out beautiful every time. Thank you! 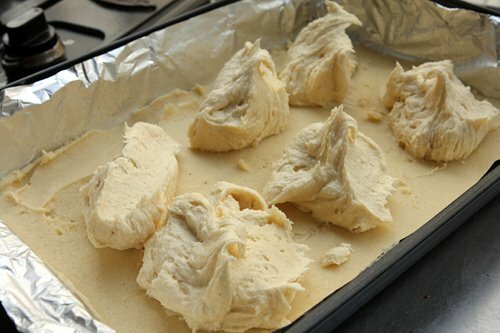 As I was browsing I came across this recipe, beside the fact that this looks delicious, I noticed the beautiful butter that is pictured. What kind of butter do you use and what are your recommendation for us here in Cali? Thanks again for getting my ice cream machine turning again! I haven’t lived in California in ten years, but remember Strauss butter being very good and I used that often. Is it ok to make ahead and freeze this cake? I would not recommend freezing this cake. It likely will not get better, or be as good, after it sits in the freezer. Thanks for the adaptation of this recipe! I made this exactly as you directed, except that I added 1 TBSP of light brown sugar to the topping, and it came out quite lovely. I took it to a holiday brunch party and it was a huge hit.